Everyone loves Motörhead. That’s obvious. What is slightly less obvious is whether even the band’s most devoted fans have found themselves hankering after another live DVD, barely a year after the release of The World Is Ours, Vol 1. Effectively recorded during the same tour as its predecessor, albeit primarily at Wacken Open Air in 2011 as opposed to Santiago, New York and Manchester, Vol 2 may seem superfluous to most people’s requirements, but once you crank it up and Lemmy, Phil and Mikkey launch into the perennially belligerent Iron Fist, it hardly seems to matter. The fact is that Motörhead are still one of the greatest live bands on the planet and the quality of their output, both musical and visual, remains consistently high. 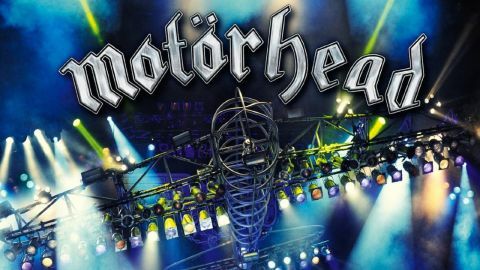 With an abundance of bonus live footage, including a few tunes taken from the band’s Sonisphere set in 2011, and other fan-friendly extras, this is every bit as worthwhile as any other Motörhead DVD. The only problem is that nothing quite matches up to the real thing, so unless your hi-fi system is powerful enough to make eardrums burst from 200 yards away, you may wish to wait until Lemmy hits the road again for your next authentic motörfix.